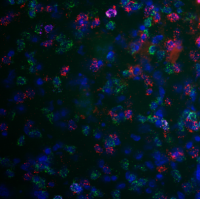 The goal of our lab is to understand the neural mechanisms underlying drug addiction, and ultimately contribute to the development of novel therapeutics for treating drug addiction. Our main focus is examining the neurobiology of drug relapse and craving. We use a rodent model of drug relapse (incubation of drug craving, which refers to the time-dependent increase of drug seeking during abstinence) and ask questions at the epigenetic, synaptic, circuit and behavioral levels. 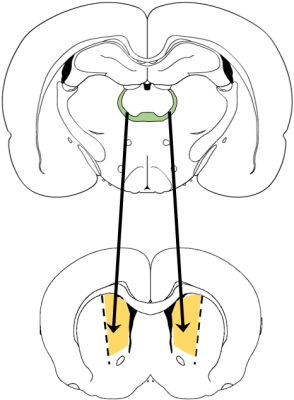 The midline and intralaminar nuclei have long been implicated in generalized arousal. However, emerging evidence has demonstrated unique roles of of these nuclei and associated circuits in reward seeking. 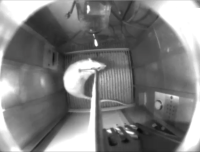 In our recent study, we demonstrate a critical role of lateral anterior intralaminar nuclei of thalamus (AIT-L) and AIT-L to dorsomedial striatum projections in incubation of methamphetamine craving. We are currently using anatomical tracing and chemogenetics approaches to examine the AIT-associated neural circuits and their function roles in drug seeking after withdrawal. Epigenetic mechanisms plays a critical role drug abuse. 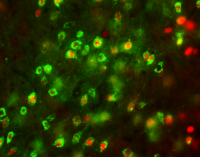 Our recent study demonstrated a novel role of histone deacetylase 5 (HDAC5) in dorsal striatum in incubation of methamphetamine craving. 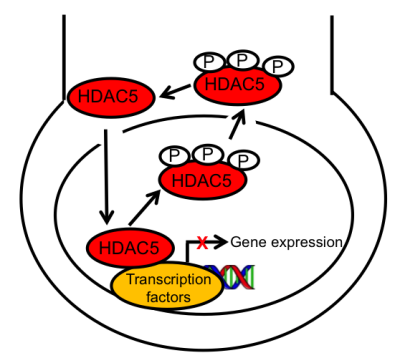 Overexpressing or downregulating HDAC5 expression in dorsal striatum potentiates or decreases methamphetamine seeking after prolonged withdrawal, respectively. We are currently using genome-wide approach to identify what the downstreatm targets of HDAC5 are. 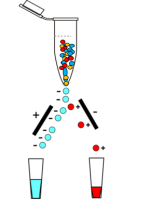 We are also interested in studying projection-specific synaptic and epigenetic mechanisms underlying drug relapse after prolonged withdrawal. Currently, we are developing new approaches to achieve projection-specificity at both the cell body and synaptic level. 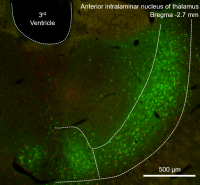 At the cell body level, we are combining retrograde transporting AAV virus and fluorescence-activated cell sorting to isolate glutamatergic projections neurons into striatum. At the synaptic level, we are combining anterograde transporting AAV virus and subcellular fractionation to isolate projection-specific synaptoneursomes.